Football selection to take place on 16th and 18th of April in Ballygarvan and Carrigtwohill. if you have entered check your email for venue/time. If you have submitted a boys/girls name for the above please check you email for details. Please note that there is NO PARKING on the Monahan Road - enter the stadium car park via the Marina entrance. **Cars will be ticketed if they park on the CAB side. ****We are hoping the girls selection will take place on Monday 23rd and Wednesday 25th April. Venue to be confirmed. Primary Game Football on today April 18th in Carrigtwohill is CANCELLED. Boys have been rescheduled to P Ui Chaoimh on Thursday 19th/Friday 20th April. see email sent for details. Primary Game Football on April 16th in Ballygarvan CANCELLED. BOYS FOOTBALL PRIMARY GAME WILL TAKE PLACE ON THURSDAY 19TH AND FRIDAY 20TH AT THE 4G PITCH IN PAIRC UI CHAOIMH. EMAIL WILL BE SENT WITH THE DAY/TIME TO SEND YOUR BOY IF YOU ENTERED. PITCH IN BALLYGARVAN and CARRIGTWOHILL IS CLOSED DUE TO BAD WEATHER. THE FOOTBALL PRIMARY GAME WILL NOT TAKE PLACE THERE MONDAY 16TH OR WEDNESDAY 18TH . *Note* ....Only one boy and one girl can be picked for Primary game from any individual school... ie. If your hurling nominee is selected then your football nominee cannot be selected. Please, please, please do not nominate children if you feel they haven’t the required skills and standards. There is no honour in being sent to a selection process and being totally overwhelmed. Only children born on or after 01-01-2005 can be nominated. (3) A school is only entitled to 1 nominee in each code. (4) A nominee cannot represent their county more than once. NB Only applications submitted online will be accepted. Postal entries or entries not filled in properly will be discarded. The Camogie selection will take place on Wednesday 21st March (weather permitting). 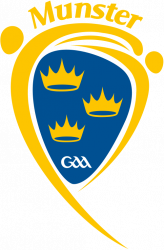 Hurling will take place on Thursday 22nd March. Please inform parents that all enquiries to this office must be made through the school.